My mom came into town a few weeks ago and whenever she’s here she makes it a point to get some major work done around the house. It’s motivating, to say the least, and without her I fear we would never get anything on our To Do List completed. 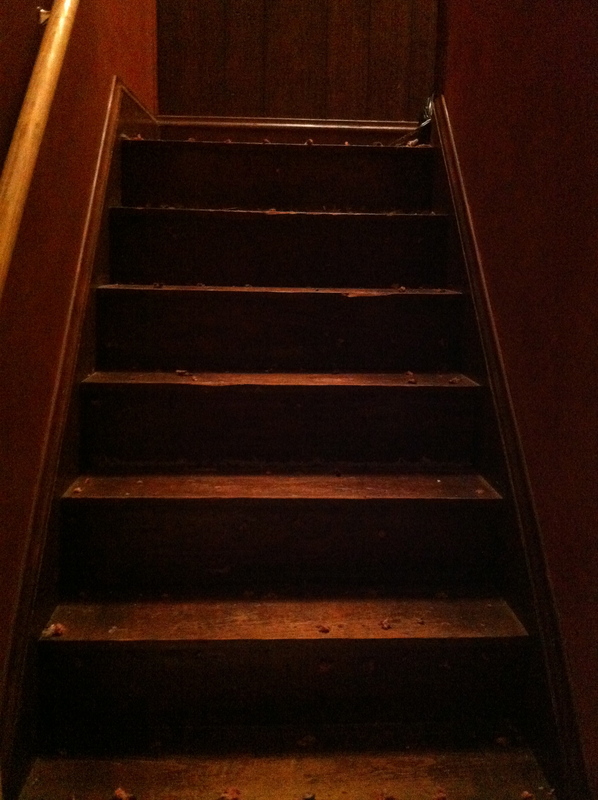 So, mama B decided that we should start with the upstairs….and so the work began. The upstairs of our house is a story and a half (about 800 sq. 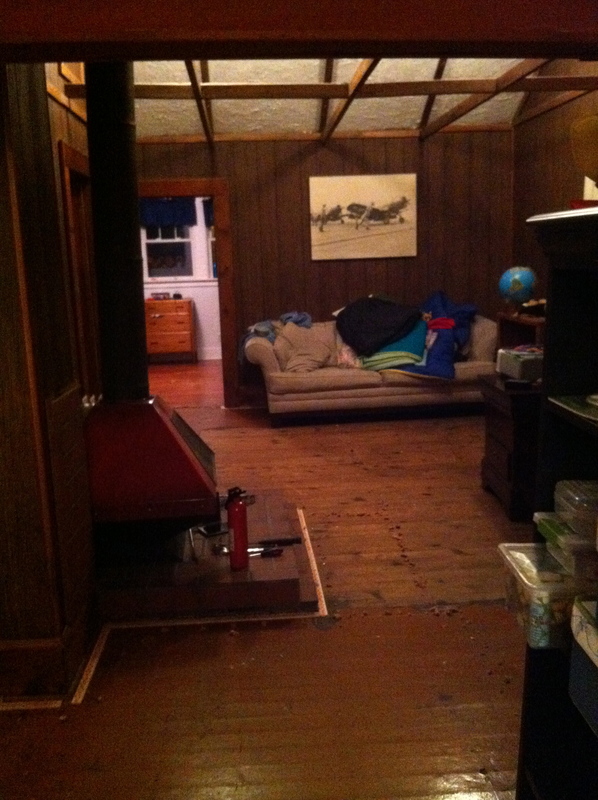 feet) and, as you can see from the beautiful photo below, it came fully stocked with wood panelling, old/stained beige carpet, and an old fireplace… YUCK. 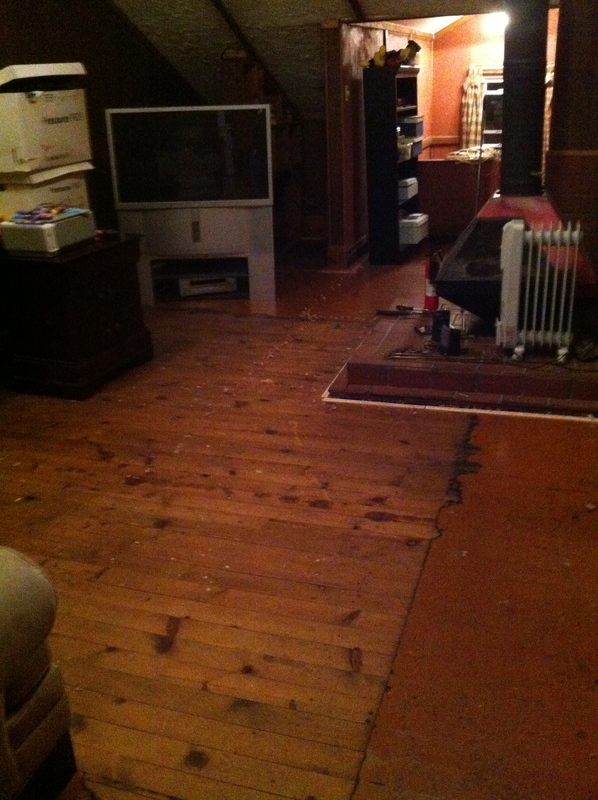 Once all of the carpet AND the padding underneath was removed, we assessed the condition of the floor. 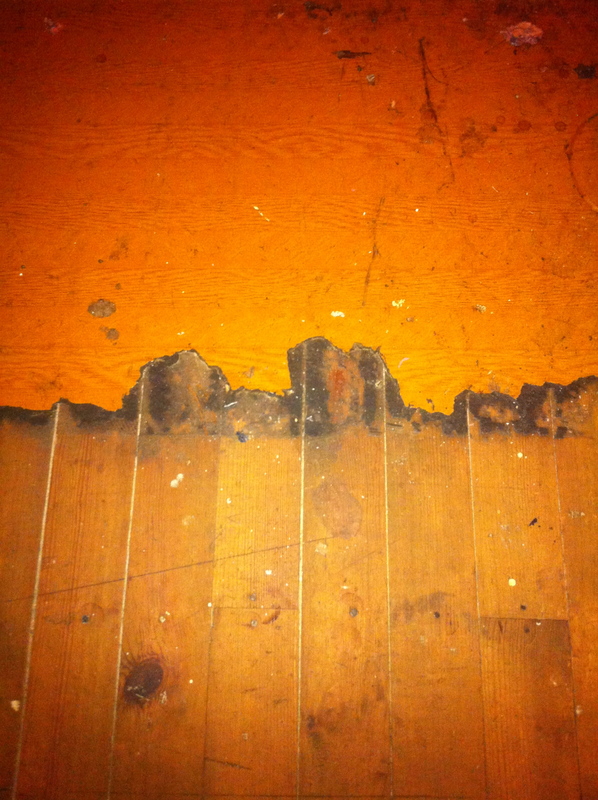 Most of the wood was in it’s original condition (never before sanded or stained) but on the perimeter of the room, there were remnants of a faux wood laminate. 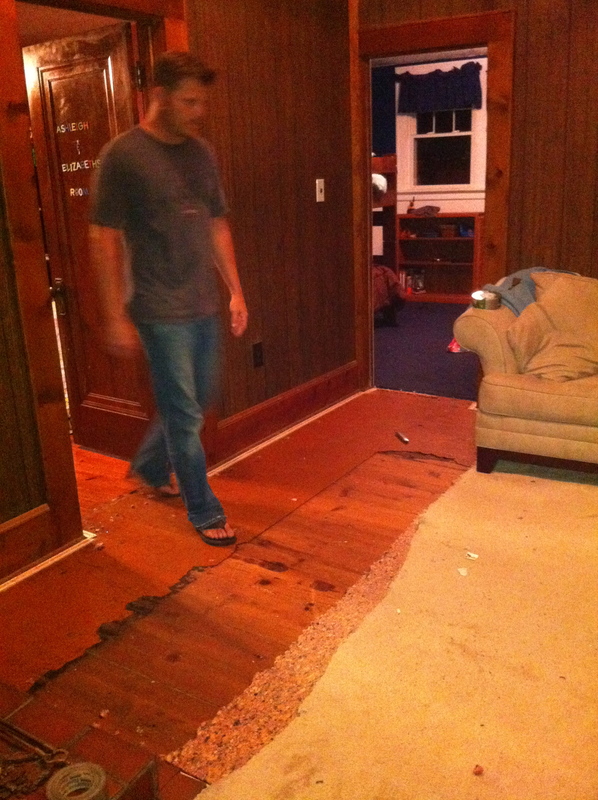 We attempted to scrape some of it off and it literally crumbled with no damage to the hardwood floor. As you can see from the photo below, all that remains below the laminate is a thin layer of glue which can be sanded off when we refinish the wood. 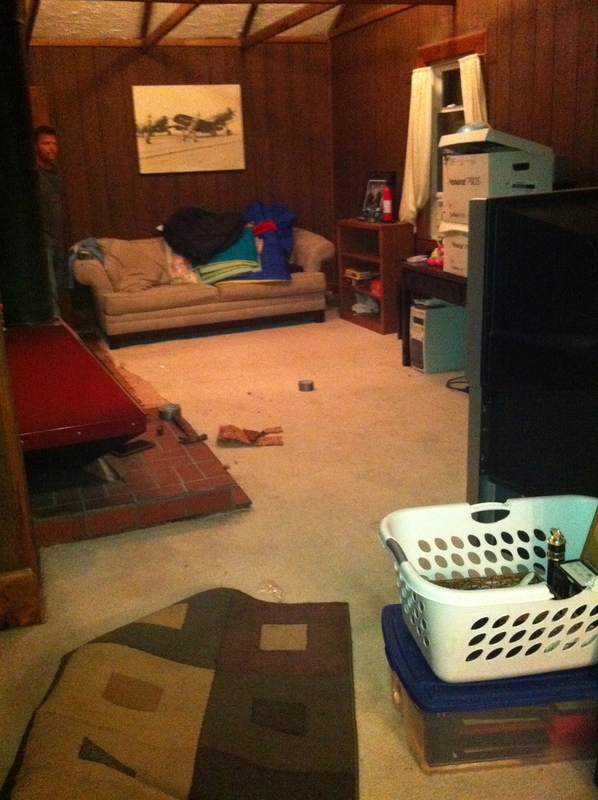 So, here’s a picture of what the upstairs looked like after the carpet was removed- please disregard the clutter. After all was said and done, it took us a total of 2 hours to complete this project and it cost us $0.00. 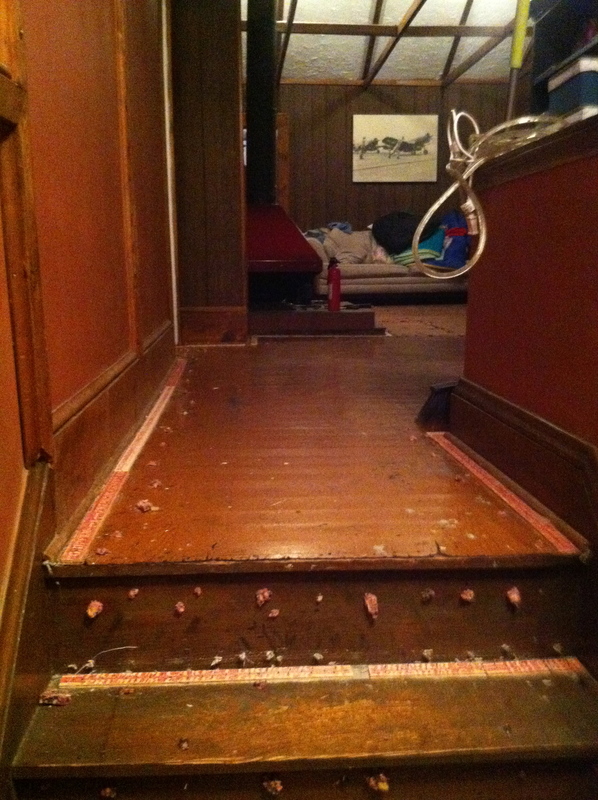 We used a utility knife to cut the carpet, pliers to pull up the staples, and a pry bar to rip up the tack strips. 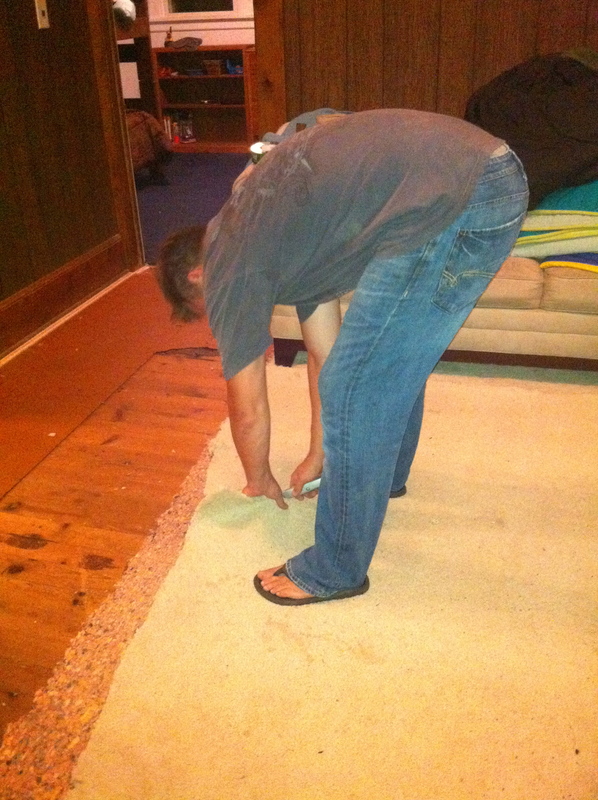 For basic instructions on how to remove carpet, I found a pretty insightful “how to” on Home Depot’s website- it’s always good to have an idea of what you’re getting yourself into before you begin. Stage 2 of renovating the upstairs will include painting. We’ll start with the panelling by painting it white, and then move on to the boys room, the girls room, and lastly, the bathroom. All molding will need to be painted white as well and some of it may need to be replaced. The fireplace is tricky. We need a good heat source during the winter but it’s metal and situated in a peculiar spot in the room. Any suggestions?